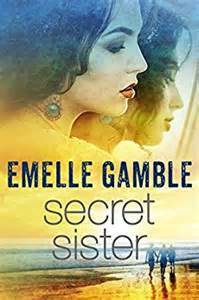 Secret Sister was my introduction to Emelle Gamble's writing, and I didn't go away disappointed. From the beginning, I was caught up in the story, wondering what would happen after a drunk driver crashed into Roxanne's car. The ensuing events took me by surprise, possibly because it had been several months since I downloaded the book and couldn't remember the synopsis. Not bothering to take the time to re-read it, I decided to begin reading and let the story take me on an unexpected journey - which was quite unexpected, indeed. I fully embraced the character of Nick - weaknesses and all. He was human and admitted to his shortcomings, yet fought with all of his might to overcome his personal challenges. As for Cathy, I didn't know what to think about her. She seemed too perfect when others described her, yet her own words made her seem more of a normal human-being with faults of her own. As the story progressed, I grew to like her more - especially in her dealings with Betty - and feel I would be proud to call her a friend. Roxanne is up for debate because, despite everything I learned about her character - much seeming to be negative - I couldn't help but feel she was a better person than portrayed. If not, why would Cathy have been so caught up with her, become her closest friend? Granted, Roxanne had her weaknesses (especially when it came to her sexual attraction to men) but, if explored further, I'm sure a reason would have come to light for why she was so insecure and needed the affections of a man, even putting up with things she should never have had to endure. All in all, the story carried me away into another world. I was thoroughly caught up in the events which took place and wanted to know how everything would unfold. In the end, I was as happy as I could be with the outcome. Still ... as Cathy wonders, so do I: does Nick really believe everything he has been told about the events which took place during the accident, or is he hoping it's true - that he's with the woman he loves - as he reaps the benefit of being with her in a body he always wanted to possess? If you would like to learn more about Secret Sister, even read some of the reviews, feel free to check out its page on Amazon.